Now that Thanksgiving is past, I can finally listen to Christmas music without upsetting too many people...and I can start decorating! Christmas decorating is extra fun this year because I have so many unique ideas from pintrest! Check out my Pinterest here. I love this idea for above the windows! I've seen a couple variations of it, but this is by far my favorite. 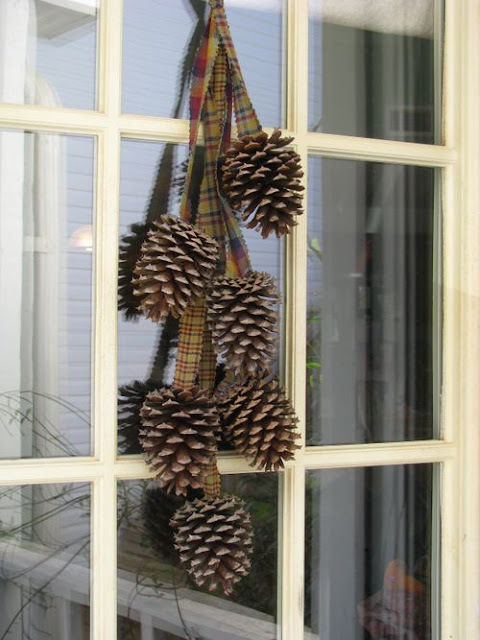 I just bought the pine cones to make this adorable door decoration. Bonus if they are the delicious smelling ones! I love the plaid ribbon giving it a country Christmas feel. What about these adorably DIY ornaments! Fun project to make with friends or kids and give as a little Christmas gift with an added handmade touch. The letters are just scrap booking stickers and the stars are made out of jewels and glitter glue. I love it! Now this one is easier than it looks. Just take a glass jar, place greenery of your choice at the bottom. 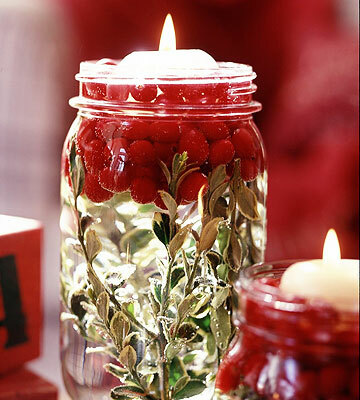 Add a handful or two of cranberries and add water to make them float. Then place a simple floating candle at the top. Voila you have yourself a very classy Christmas candle! I don't know about you, but I can't wait to get started with all this decorating! I would love to see some of your holiday decorations as well so leave me a comment with a link to your creative ideas! 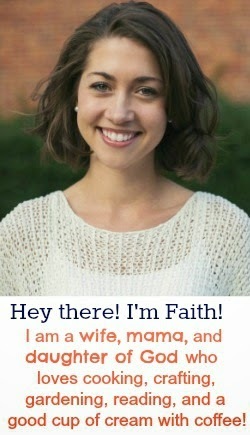 Don't you just love pinterest?? It's like one stop idea shopping, except it doesn't cost you anything (until you go to make the craft)! I love all these ideas you've pinned. The pinecones are absolutely adorable! I love the idea of a Pinterest Christmas! This year I was so excited about Christmas that I already made 2 Christmas things from my Pinterest Board: http://pinterest.com/beaskeens/christmas/ and am planning to make more! Pictures on my blog: http://filledwithretirement.blogspot.com/2011/11/week-of-sewing-and-crafting-getting.html I think I'll hang the pinecones that I now have in a bowl. Maybe I'll do the ornaments but I'll have to buy the letters. I'm going to make a wreath in a frame. I love reading your blog!